Grizzly bears today live in just a fraction of their historic habitat in the lower 48. If they're ever going to truly recover, we need a national plan to return them to more places. 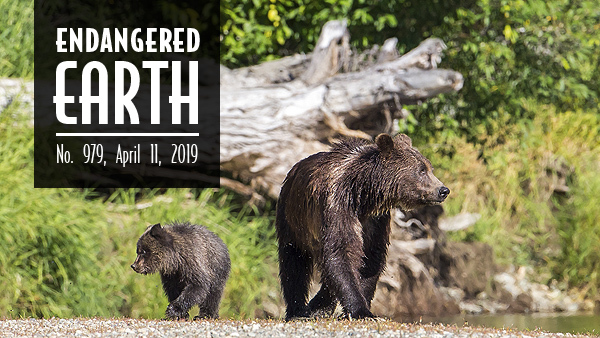 That's why this week the Center for Biological Diversity filed a formal notice of intent to sue the Trump administration for failing to create a comprehensive recovery plan for grizzly bears. That includes considering reintroducing them to places like California's Sierra Nevada, the Selway-Bitteroot in Idaho and Montana, Utah's Uinta Mountains, and the Grand Canyon and surrounding areas in Arizona. The filing follows a 2014 petition by the Center that identified 110,000 square miles of potential grizzly habitat in the western United States. Get more from KULR-TV and consider donating to our Predator Defense Fund to save wolves, grizzlies and jaguars. Every donation will be matched through May. Despite an unfolding controversy over suppression of evidence that pesticides pose great dangers to wildlife, the U.S. Senate this morning confirmed David Bernhardt as the next secretary of the Interior. The vote came even as nine Democratic senators are seeking an Inspector General investigation of Bernhardt's efforts, as deputy Interior secretary, to scuttle a scientific review on the harms of chlorpyrifos and two other pesticides. The review concluded that these pesticides jeopardize the existence of more than 1,300 endangered species. "Bernhardt has spent decades scheming to undercut protections for wildlife and public lands across the country," said Kierán Suckling, the Center's executive director. "He's the perfect distillation of Trump's contempt for the natural world." 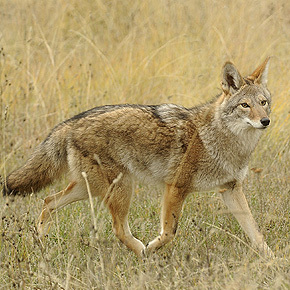 Every year New Mexico has hosted at least 30 events whose participants compete to kill the most, biggest or even smallest coyotes for cash or prizes — until now. Gov. Michelle Lujan Grisham has just signed bipartisan legislation forbidding the barbaric killing competitions statewide. "We celebrate for coyotes, for endangered wolves that might've been mistakenly killed, and for our children, learning that humane values are New Mexico values," said the Center's Michael Robinson. Read more. 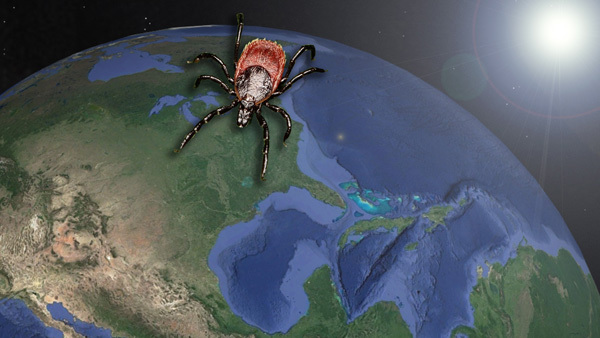 Climate change is bringing ticks — and tick-borne illness like Lyme disease — to new parts of the country. Their spread is alarmingly outpacing data collection and response by the Centers for Disease Control and Prevention. Learn more at The Revelator. The Gulf Coast solitary bee lives along the coastal dunes and barrier islands of Florida's northern Gulf Coast. It pollinates just one plant, the Coastal Plain honeycomb head, whose bright-yellow flowers are emblematic of the dune ecosystem. The bee is called "solitary" because it lives alone, not in a hive. This insect is astoundingly rare. Upon the last Florida-wide count in 2012, only 47 individual Gulf Coast solitary bees were found at six sites. 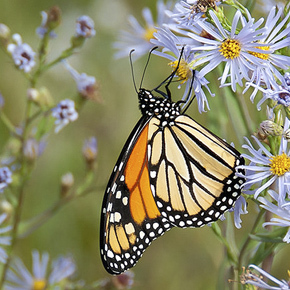 That's why the Center just petitioned to protect these one-of-a-kind pollinators under the Endangered Species Act. Read more in the Pensacola News Journal. Dicamba is a weed-killer created by Monsanto that easily drifts from spray sites, causing devastating harm to all kinds of other plants. But instead of trying to curb the collateral damage, Monsanto wants to spray more dicamba. The company has asked for federal approval to use it on all U.S. cornfields — which would mean immeasurable harm to plants and pollinators. Take action: Tell the Environmental Protection Agency you expect it to do its job protecting the environment by denying Monsanto's dangerous request. Vernal pools are water bodies that appear and vanish over the course of a wet season. During their fleeting existence they harbor a sudden burst of aquatic life: plants, larvae, beetles, tiny crustaceans (like fairy shrimp) and more. These organisms in turn form a valuable part of the food chain for other animals, including birds of prey, shorebirds and migratory waterfowl. Because vernal pools are among the world's most threatened habitat types, the Center has worked for decades to defend them. Learn more about these amazing mini-ecosystems — and why they deserve protection — in The San Diego Union-Tribune. 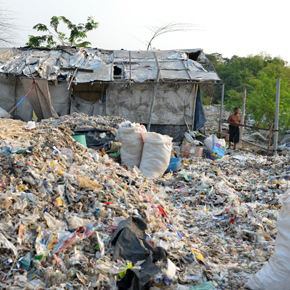 With such vast amounts of plastic going into landfills and water worldwide, endangering wildlife and polluting human communities, how on Earth can we win against plastic waste? That's what The Revelator's Tara Lohan asked Stiv Wilson of The Story of Stuff. He's working on a new film about plastic-pollution solutions at every stage of plastic's life cycle. Read more and sign up for The Revelator's weekly newsletter. Weddings can be wasteful, but they don't have to be. By making smart choices, you can turn your celebration into a joyful day for the planet, too. 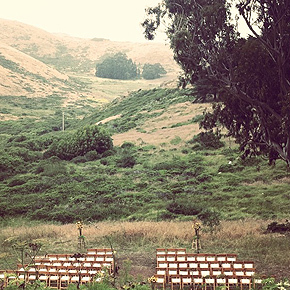 We made you this Wildlife-friendly Wedding Guide to help. Whether you're tying the knot or not, our Population and Sustainability team has tons of useful and fun campaigns and content about living large with a small footprint. Sign up to get it all via our free monthly newsletter Pop X. 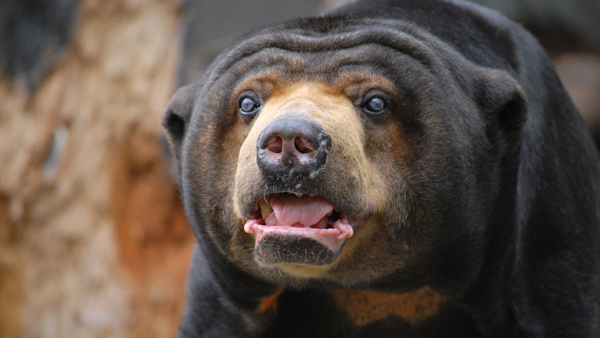 Sun bears are single and don't often mingle. The smallest — and arguably cutest — of the world's eight bear species, these Rottweiler-sized introverts live in the rainforests of Southeast Asia and aren't too social outside mating season. But new findings show they have precise facial mimicry skills — skills long believed unique to two highly social species: humans and gorillas. The ability to imitate facial expressions is considered a subtle form of communication. Researchers in Borneo spent two years studying 22 captive sun bears in enclosures large enough to let the animals decide whether to interact. They found that when sun bears come together, they mirror one another's facial movements — a toothy grin, nose lift or wrinkled muzzle — as often as 80 percent of the time. Photo credits: Grizzly bears by mickthompson/Flickr; David Bernhardt courtesy USDA; coyote by funpics 47/Flickr; tick graphic by Dipika Kadaba/Center for Biological Diversity; Gulf Coast solitary bee courtesy Center for Biological Diversity; butterfly by james_wheeler/Flickr; vernal pool conservation by Joanna Gilkeson/USFWS; plastic pollution by Stiv Wilson; wedding venue by realplastictrees/Flickr; sun bear by chris-f/Flickr.